The tradition of putting henna or mehndi on hands is very old custom and this is a very ancient art form from Asian Subcontinent. It was historically used back in Mughal Era and from there, it got into Indian and Pakistani Culture. Mughals use mehndi to decorate themselves with it. With time, it has become an important part of our weddings and they seem to be incomplete without putting mehndi on hands. Floral henna designs look amazing and add more beauty to delicate hands of young Pakistani girls. Brides, her sisters, cousins, aunts, mother, and even grandma look so curious for her turn to put on mehndi as early as possible and get done with this duty and they must, at last, it is their favorite girl’s wedding! 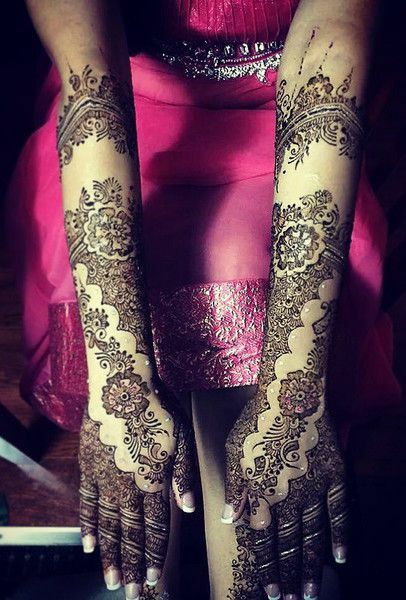 Don’t forget to Check out New Arabic Mehndi Designs for Hands and Feet We have brought the vast range of mehndi designs to give your hands a glamorous touch. If you want to know about some Amazing Hand Mehndi Designs Gallery 2018 Latest Collection then you are at right place. Yes! I am going to let you know a complete catalogue about how to decorate your hands with an ideal and latest hand mehndi designs. 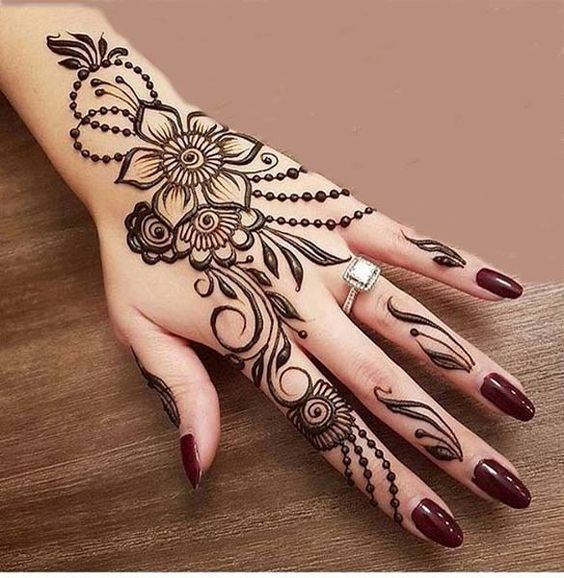 As wedding season is going on and women are in search of some lovely henna designs which can adore their hands with the prettier look. You don’t need to worry about it. Here we go to care for your all fashion needs and requirements. For a chic look, wear colorful bangles with mehndi on hands. Apply it on both sides i.e. towards inside and outside. 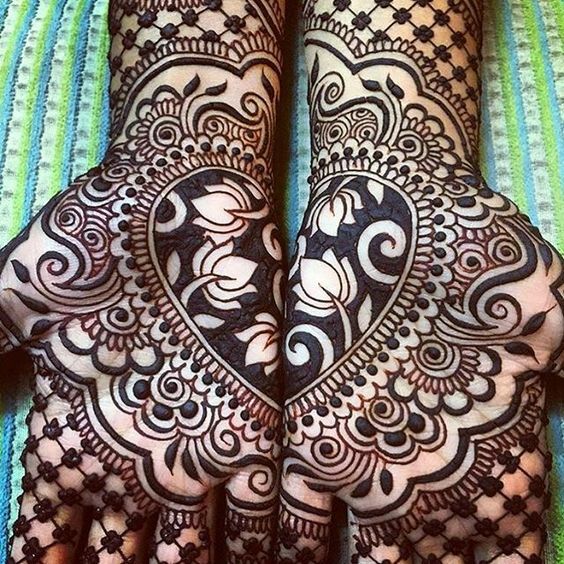 Mehndi has great diversity and variety in styles and designs. Don’t get confused with it. Always choose that one which suits your personality and which makes you feel happy. The best thing about this article is that you don’t need to go beauty salon and hire any mehndi designer for you. Just read and look carefully at the given guidelines and simple mehndi designs so that you would be able to reproduce this art form. Young Pakistani girls are eagerly putting unique mehndi designs on their hands. Especially, when it comes to weddings, they look incomplete without mehndi. 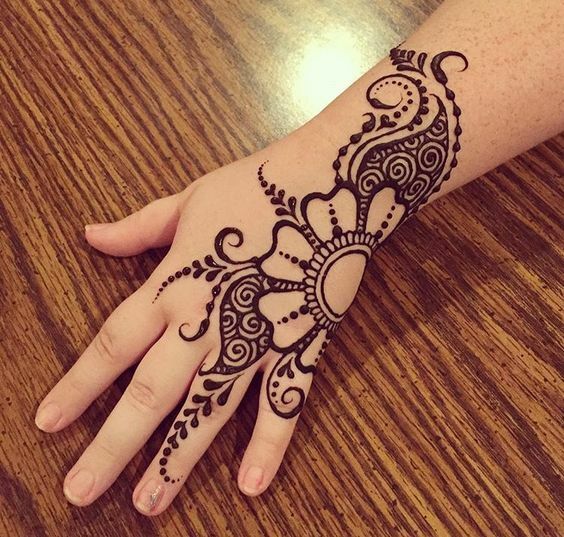 So, gear up to practice new henna designs for wedding and make your day fabulous. 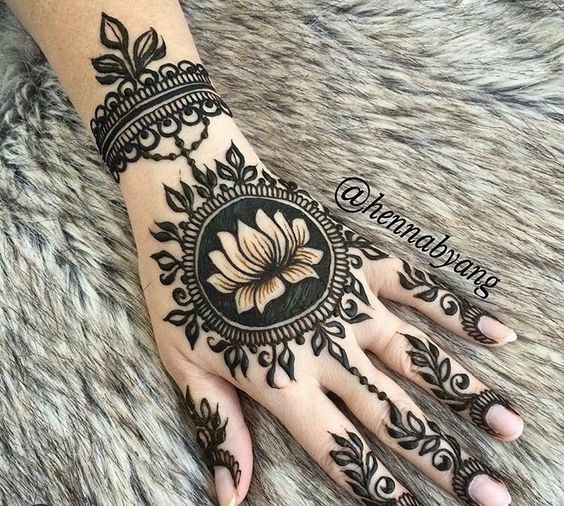 Among different henna designs, you can put floral patterns in simple straight bail form or full pattern on hands. These can be applied on both front and back sides of hands. It takes a little more time for mehndi to show its color at back side so let it applied for more time. You can apply some geometric or block patterns with a combination of circles and dots. Our collected Latest Glitter Mehndi Designs Collection is giving mehndi designs a glamorous touch and it would look spectacular on your hands. For general practice, select simple designs first and then go for complex ones. For a simple and decent look, always choose such styles which are graceful and appealing. 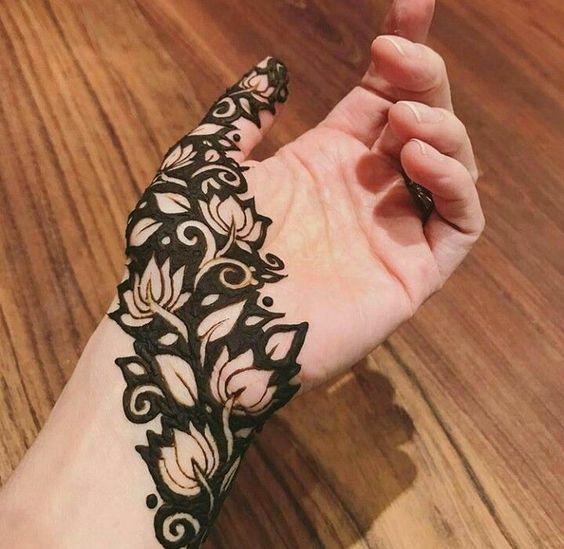 Diagonal straight mehndi design will perfectly serve this purpose. Shade the flowers and other patterns from inside because it will add a contrasting light mehndi color other than an outline. You also have a choice to fuse some beautiful designs together for a more alluring look. This will add the difference to style in an outgoing manner. You can apply these vast ranges of mehndi designs on Eid ul Fitr or Eid ul Azha festival in Pakistan. If you want, you can also apply some glitter on mehndi after washing. This trend has taken young and enthralling young Pakistani girls. Doing this will add more attractiveness to your hands. Apply nail paint to enhance your beauty and make others wonder behind. Every hand looks amazing with it. Here I have also shared some of the pictures of hand mehndi designs in Pakistan. Make the best choice of your favorite collection by checking out these images. Don’t wait, select it today and make others mesmerize with your style and outstanding mehndi design. These all patterns are very easy to follow and apply. Be optimistic and try your best to reproduce the best. 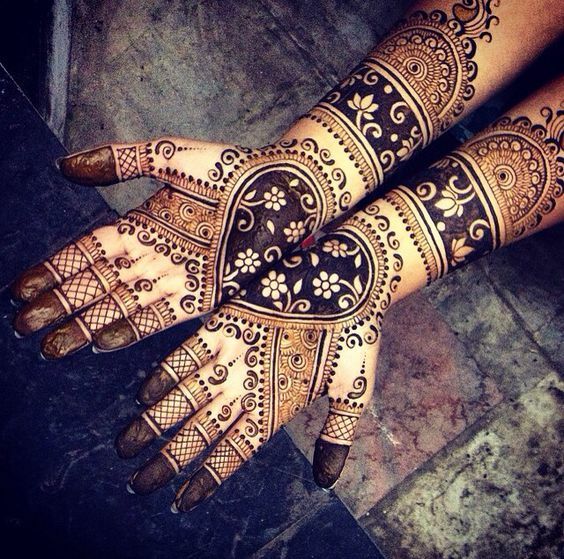 So, have a look and get inspired with these elegant mehndi designs for hands. These are the Amazing Hand Mehndi Designs Gallery 2018 Latest Collection which is collected by us to make your search convenient. 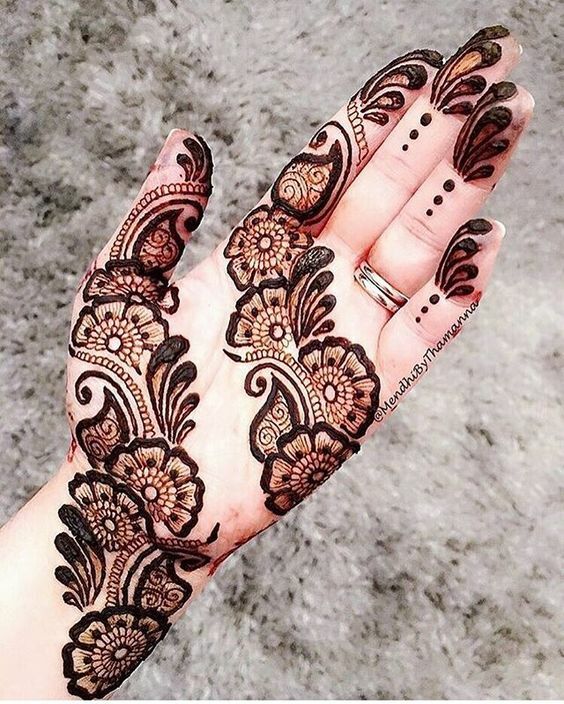 You people would find a different type of mehndi designs in one blog but don’t forget to tell us about your favorite designs and share with us in the following comment.